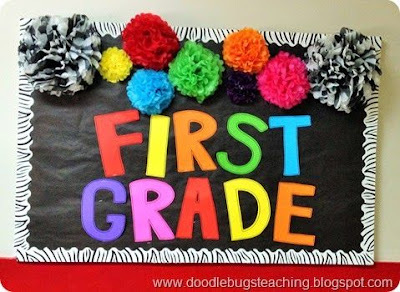 I have ooh'd and ahh'd over this bulletin board from Doodlebugsteaching for what feels like forever. I finally decided I was going to make it happen! Kacey reminded me how easy it is just to print letters by putting your favorite font as big as it will go on the paper in powerpoint. 1. Open powerpoint and choose the layout option without any boxes. You are going to insert text. 2. The font I chose was "MTF Jumping' Jack." It is a free font for personal use but paid font for commercial use. You can find it HERE. 3. Then print the letters on Astrobright paper. Trust me...it's the best. You can find it at Target, Walmart, or on Amazon. 4. Then cut out the letters. I did all this last night before I went to school. I like to have everything prepped before I get there so I am not wasting time with my kids acting crazy. On the way to school I stopped and got these paper fans at Michaels. I have a slight obsession with paper fans...I use them EVERY time I am decorating anything. I found these with the party supplies. When I started putting the fans up on the bulletin board I loved them, but my colors were a little off. Don't call me crazy, but then I went to Hobby Lobby to get more paper fans. I told y'all I love them. At Hobby Lobby I was able to find some brighter colored fans that tied in with my letters better. *In order to get the fans to stay together, I hot glued the cardboard part. I then stapled it all up on the board. I added the felt WELCOME banner from Target Dollar Spot too! This is where I am now, but OF COURSE I need a border (or two or three) so I hopped on my phone and ordered some from Schoolgirl Style. I promise to show you the completely finished product as soon as the borders come in! I also wanted to let you know about a new packet that Amy and I put out too! We have been talking for a long time about doing a graphic organizer pack that could be used with Rooted in Reading OR with any book that you like. We understand that many of you have mandated curriculums that you HAVE to use. These printables would be great with any book out there! Because Emmie begs me to do anything we make right away. 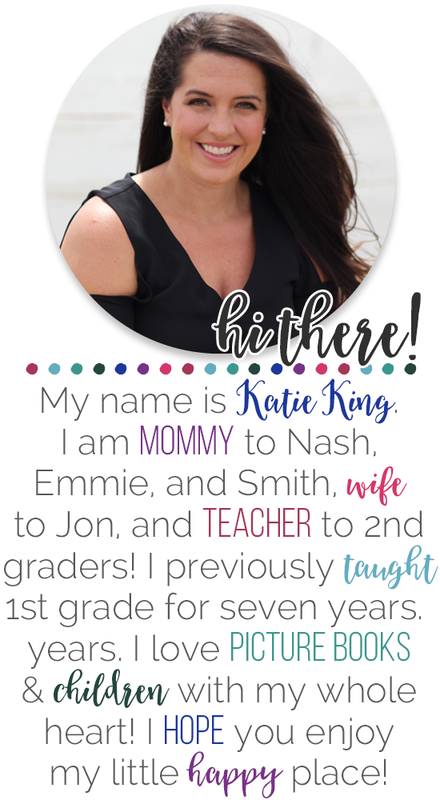 Here is just one of the NINTY printables in action. And because I LOVE you dearly and I don't want you to miss out.... don't forget about the TPT sale. Use code: BESTYEAR for an additional 10% off my already 20% off sale. I snatched those Reading Responses up as soon as they hit my computer screen. I am one of those teachers who has a mandated curriculum. I love resources like this that I can plug in wherever and whenever I'd like. Thank you! 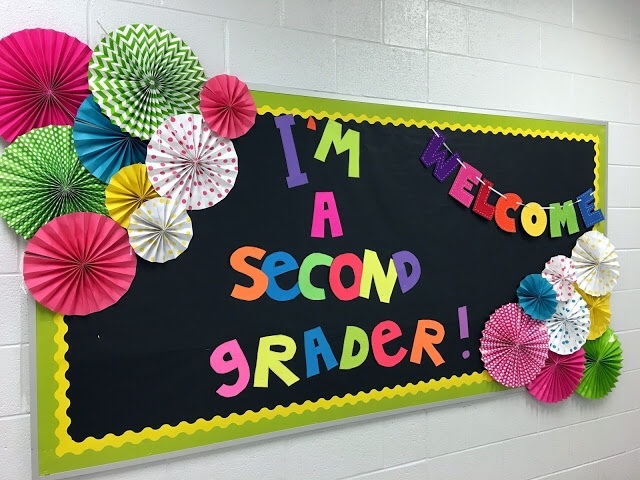 Your bulletin board looks great! Can't wait to see the final result. How do I print these letters as just the outline of the font? No black fill? I am trying to figure this out too - did you have any luck? First of all love your Rooted in Reading. I teach 2nd grade and I just love it! Anyway, I love the new product, but can't find it. I did buy in Amy's store the Reading Response booklets, but this new product you created looks like a full sheet. My brain is Swiss cheese right now (3rd day of school), so I couldn't seem to locate it in either of your stores on TpT. Thanks for helping me out and have a great year! Hello how are you, I love the blackboard I would like to know where I can get the colors of the border?